Financial services representatives depend on their communications system. Clients must be contacted on a regular basis, and remote workers have to stay in touch to keep pace in the constantly changing world of finance. When a power outage struck the offices of Kessler & Associates, PC., it caused irreparable damage to the financial service firm's aging communications system. Kessler & Associates turned to Star2Star to provide them a more reliable and functional replacement. 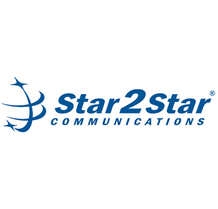 Read more to discover how Star2Star was able to revolutionize the firm's communications.